Earlier in the year, we were finally able to announce the names of this year’s 180 Medical College Scholarship recipients after much deliberation. It was difficult to narrow it down to only seven recipients, because there were so many deserving candidates with inspirational backstories and exciting goals, whether to be able to return to school after a long absence in hopes to renew a career path or just starting out as a college freshman with dreams of being able to help others with their future job. We are truly honored to be able to help these seven students get a little closer to their goals. We will continue to feature each one of our recipients on our blog, so sign up for our newsletter so you can get notified every time we publish a new blog. Previously, we have featured Macy, Jared, Tiffany, Spencer, and Maria. This week, meet Nicole! Nicole is an inspiring young woman who has been through many surgeries and hospital stays due to complications with a rare disease known as Ehlers-Danlos Syndrome. Despite all of this, focusing on her education was her top priority. Although she felt that her condition and the outcome of various surgeries were out of her control, her grades and her drive to succeed were both something she could absolutely control. Thanks to ileostomy surgery, she is living a happy, healthy life again. 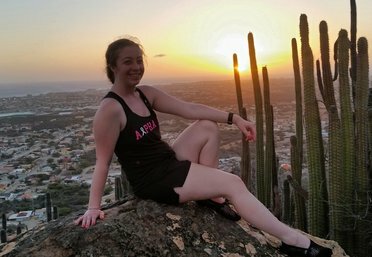 Not only is she dedicated to helping others, but she also offers support and enjoys educating others about living with an ostomy on her own YouTube channel. She also loves to spend time volunteering as a counselor and nurse aid at Youth Rally, which is a great camp for kids and adolescents who have conditions of the bowel and/or bladder that offers motivational and education sessions and opportunities. She has also mentored young girls as a counselor at GIRLS Academy. Now, her focus continues with her schooling as she works toward earning a Bachelors of Science degree in Nursing. 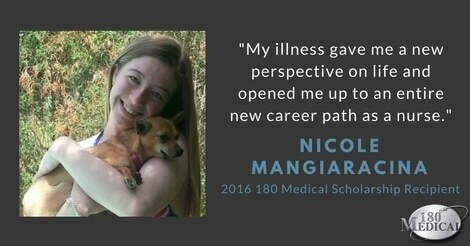 Because of her first-hand experiences with illness, surgeries, and recovery, as well as her involvement in offering advice and support to others living with an ostomy, we’re sure that Nicole will be an excellent nurse, and we wish her the best of luck as she continues on with her schooling. We know paying for college isn’t easy these days, and we also understand that there can often be extra financial difficulties for aspiring students who live with these conditions. That’s why we created this program. To learn more about our annual College Scholarship, visit our Scholarship page.